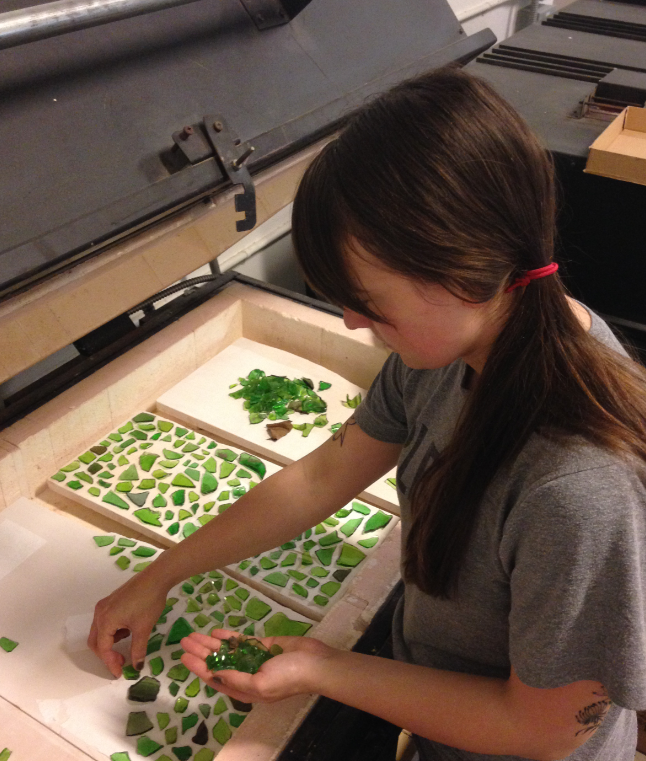 During an interactive event Patenaude hosted at the UrbanGlass open studio in the winter of 2015, she was able to share her completed project, as well as introduce the idea for a new waste glass project -- a mosaic map to be installed in Fort Greene Park, Brooklyn’s oldest public park. She received funding for the project through a grant awarded by the Brooklyn Arts Council, as well as from the FGPC, which held events that gave her the opportunity to receive input from the community. 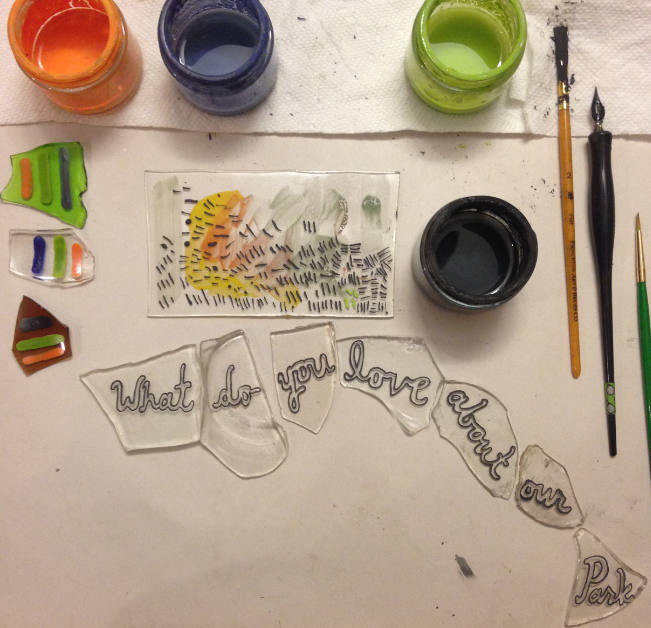 Patenaud was able to collect design submissions for the mosaic during Music in the Grove: Kids Concerts series and the Fort Greene Park Greenmarket, two FGPC-funded events. 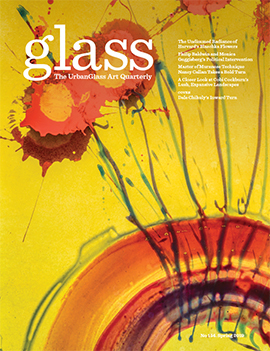 “We got drawings from little kids and their parents, and drawings from people that had been in the neighborhood forever,” Patenaude said in an interview with the GLASS Quarterly Hot Sheet. “This one lady gave me a little drawing and was like, ‘I’ve been here three generations deep, in Fort Greene,’ and she was telling me all about it and it’s just cool how many people I got to interact with on such a personal level." 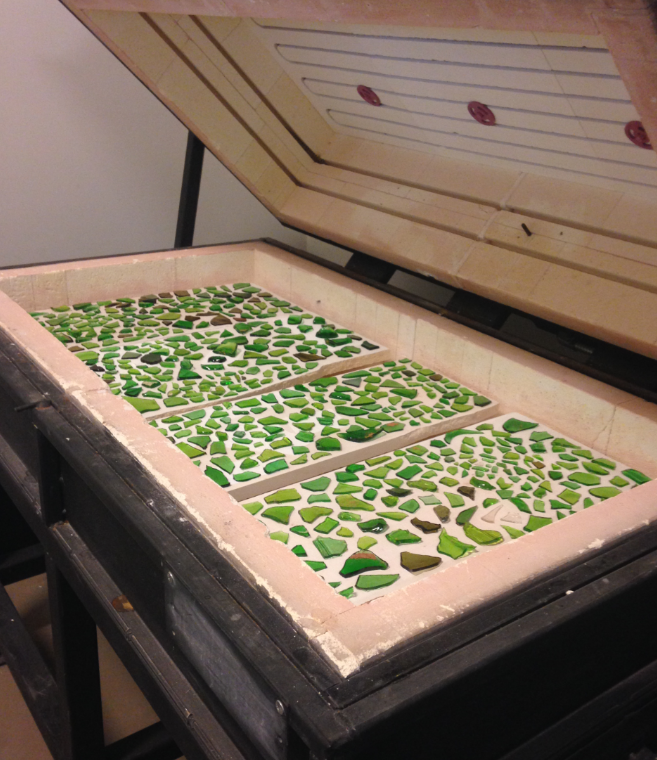 Patenaude said that the most rewarding aspect of working on this project has been witnessing the transformation in mindset around the material. 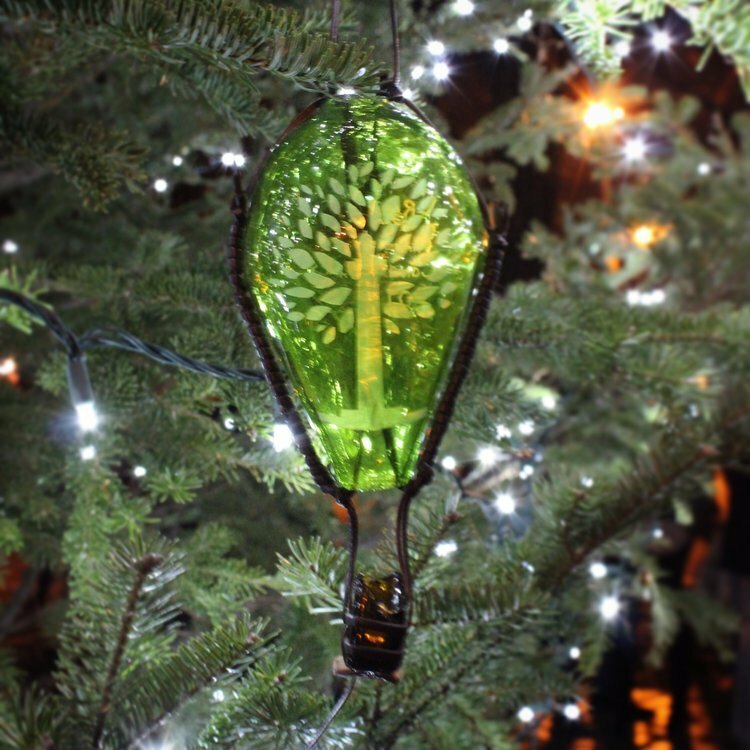 The broken glass that used to line the park’s pathways -- an unwanted nuisance and safety hazard -- became a work of art and source of community pride. What was formerly a desolate, unvisited portion of the park -- a marble slab that had been empty since the 1980s, only filled with dirt and water -- became a place where visitors can gather and view the artwork. 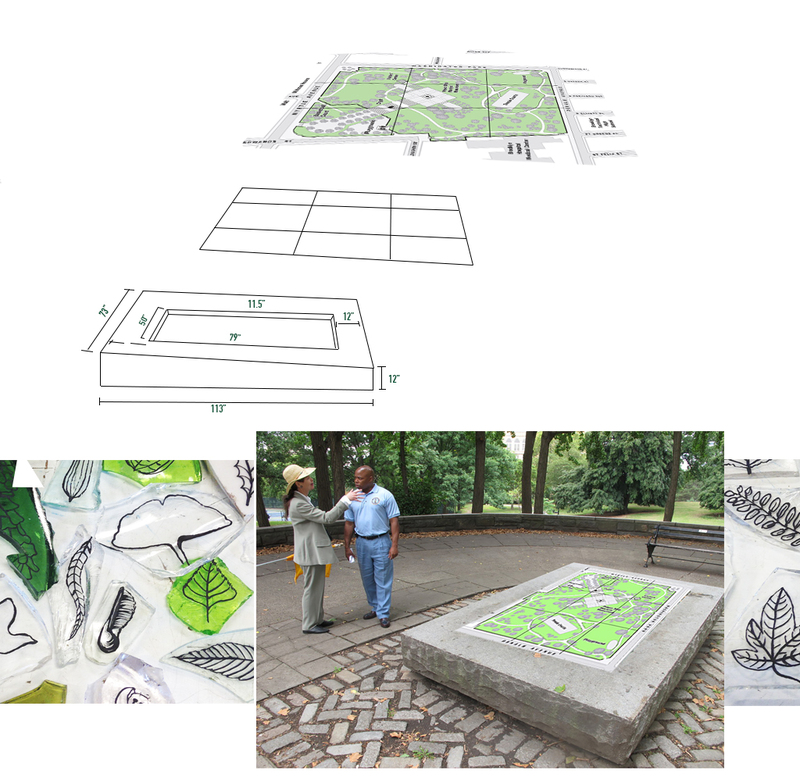 Because the work was installed through the New York Parks’ temporary public art permit, “One Map of Many Moments” is only allowed residency in Fort Greene Park for a year -- but Patenaude hopes it will be displayed in the visitor’s center afterward. 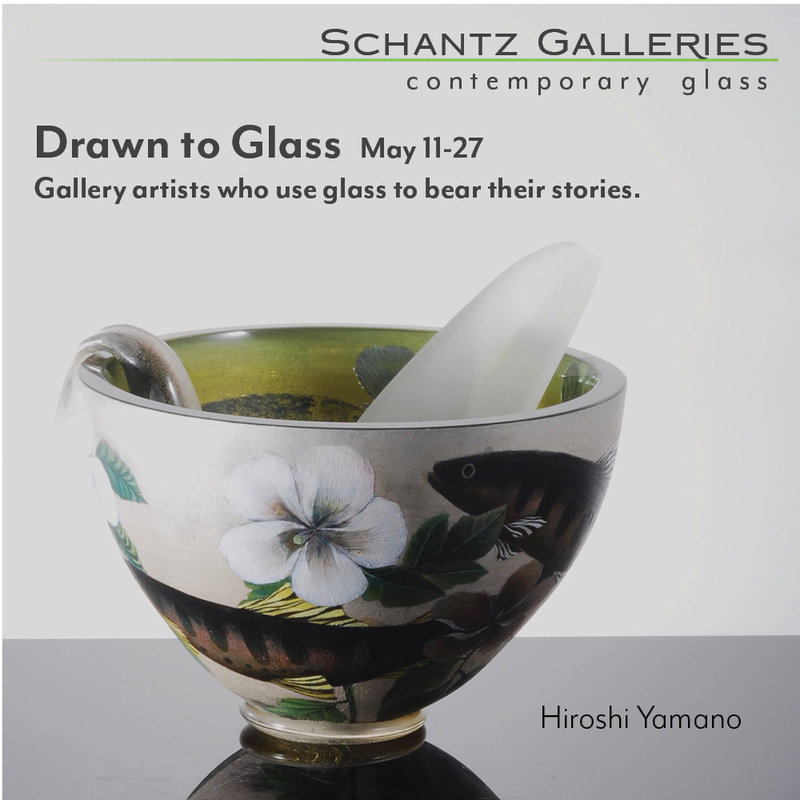 However, the glass collection itself is an ongoing process -- volunteers are still gathering the glass to give to Patenaud, who has been planning her next project with it to consist of a ceramic glaze of grinded glass pieces. 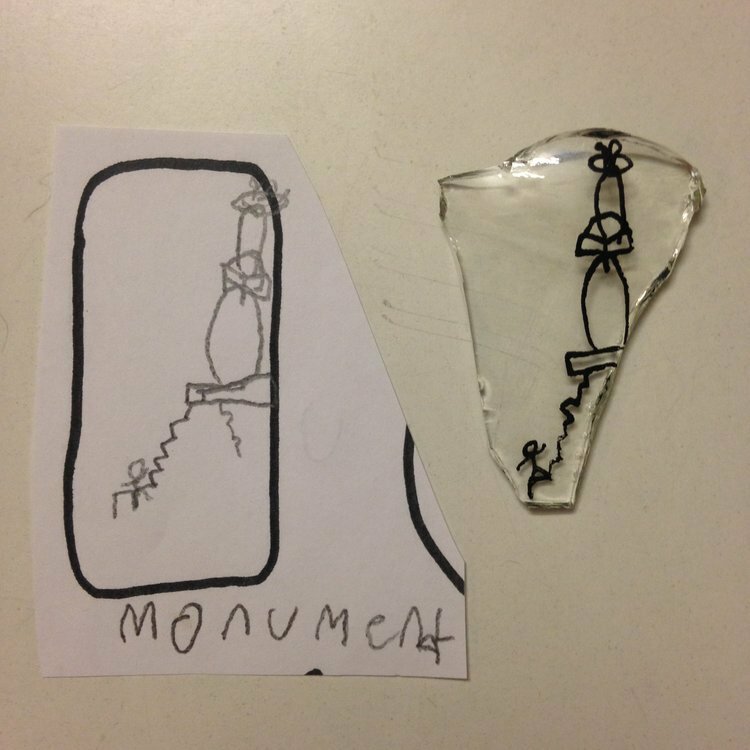 She also hopes to find another artist who will use the glass to construct a sculpture of the poets who used to go to the park. While the mosaic is still installed, Patenaude said that she hopes it will reflect the adoration and appreciation the community has for their park. The opening reception to celebrate "One Map of Many Moments" will take place at Fort Greene Park this Thursday, July 20th from 5- 6:30pm, convening at the mosaic site, located on the south west corner of monument plaza. "One Map of Many Moments"